As of February 16, 2012 there are 66 mushers signed up for the 2012 Iditarod Trail Sled Dog Race, including 52 veterans, 14 rookies and 16 women. To date eight mushers have withdrawn for various reasons. Entrants hail from 5 states – Colorado, Illinois, Idaho and Washington, as well as from Alaska and from 4 countries – United States, Canada, Norway and New Zealand. The record number of mushers starting the race was 96 in 2008. 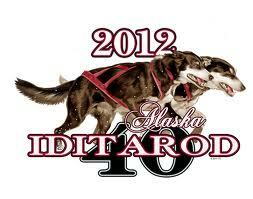 Six Iditarod champions will be attempting to regain the title. Many of the past champions from other long distance races are also racing including Yukon Quest champions, Kusko 300 champions and Beargrease champions. The trails meets up with the Yukon River at Ruby and reaches frozen Norton Sound at Unalakleet. The route alternates every year. This year’s route, the Northern Route, will run from Ophir through Cripple, Ruby, Galena, and Nulato before meeting up with the Southern Route trail in Kaltag. There are twenty-four checkpoints (counting Anchorage & Nome), three of which are uninhabited during the rest of the year. There are seven teams signed-up for the 2012 Iditarod that have also signed up for the 2012 Yukon Quest – Kristi Berington, Jake Berkowitz, Trent Herbst, Sonny Linder, Lance Mackey, Huff Neff, and Brent Sass. The 2012 Idita-Riders represent 22 states and raised $155,000. Volunteers are an integral part of the Iditarod. As of February 8th, 2012 there were 718 volunteers registered representing 46 states and America Samoa. This number does not include those who volunteer in communities along the trail or in Nome. The number of volunteers will continue to grow over the weeks to come and by the end of Iditarod 2012 there will be over 1,500 volunteers involved in some way or another. This number equates to over 35,000 volunteer hours. In 2012 there are a total of 52 veterinarians – 3 for dropped dogs in Anchorage, 2 for dropped dogs in both McGrath and Unalakleet, 42 veterinarians dispersed along the trail and 3 consultants.